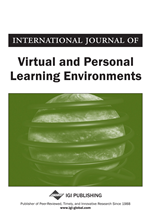 This current study examines the need for operational definitions of the concept of interaction in distance education studies. It is proposed that a discourse analysis of linguistic features conversation noted as being representative of interaction can be used to operationalize interaction in synchronous CMC. This study goes on compare two different registers: an internet chat register, and a Massive Multiplayer Online Role Playing Game register to explore the theoretical claim that such virtual world environments have higher levels of interaction. Overall findings exhibit that MMORPGs have higher amount of linguistic features characteristic of interaction. Evidence points to MMORPGs being more interactive and also supportive of collaborative interaction. The role of interaction in distance education research is an often discussed and studied topic (Bernard et al., 2004; Gunawardena & McIssac 2003). Interaction has been identified as one of three key approaches in the historical development of a theoretical model of distance education (Keegan, 1986). Many theoretical models for interaction have been proposed, including Moore’s (1989) famous model of transactional distance, which notes three types of primary interaction: learner-content, learner-instructor, and learner-learner. In another model, Garrison (1989), and Garrison and Shale (1990) state that sustained, two-way communication is the foundation of an educational experience in distance education, regardless of the separation of teacher and student. Gunawardena and McIssac (2003) place interaction at the core of distance education programs. Gibson (1993) also notes that interaction can be seen as important for learning in distance education, particularly with the socio-constructivist idea that knowledge is socially constructed, and therefore interaction is a key component of learning in online environments. Many distance education researchers agree interaction is of key importance to the field, and greater amounts of interaction can be seen as a measure of the successfulness of an instructional model or method in distance education. However, while much theoretical research has been done on how different modes of interaction (e.g., face-to face, synchronous and asynchronous), little empirical research has been performed which measures the level of interaction in these different mediums. Furthermore, the limited empirical research on interaction to date in distance education has measured interaction through survey methods with an apparent lack of an operational and measureable definition of the concept (Bernard et al., 2004). Most current distance education instruction uses a mix of both synchronous and asynchronous computer mediated communication (CMC), such as internet relay chat (IRC) and discussion forums to communicate (Bernard et al., 2004; Gunawardena & McIssac 2003). The primary difference between these two types of CMC is that synchronous CMC occurs in real time and asynchronous CMC occurs in delayed time; allowing users to edit and think more about their responses (Gunawardena & McIssac, 2003; Keegan, 1995). Kearsly (1995) argues that given the various modes of interaction possible in distance education that a complex model is needed which addresses issues such as the difference between synchronous and asynchronous CMC. This noted, a single operational model for measuring interaction in distance education would be difficult to construct. Studies have shown that language used in these two types of CMC differs greatly, with synchronous CMC resembling features of face-to face spoken language, and asynchronous CMC being akin more to written forms of communication (Simpson, 2002; Werry, 1996). When examining interaction in distance education, different operational definitions may need to be applied to different modes of interaction. Granted that interaction needs to be measured based on the medium in which it manifests, this study proposes a quantitatively and qualitatively measureable operational definition for interaction in synchronous CMC. As previously stated, the linguistic features of synchronous CMC most closely resemble face-to-face speech (Baron, 1998; Werry, 1996). Following this, models for measuring synchronous CMC using characteristics found in speech have been used in empirical research to date will be presented (Blake, 2000; Sagarra, 2007; Simpson, 2002). As this study is interested in adapting a method for measuring interaction in synchronous CMC, and given that the linguistic features of synchronous CMC closely resemble speech, furthered by a body of previous research which has used methodologies to study speech on synchronous CMC, this current paper proposes that the key linguistic features listed as being representative of interaction in speech can be used to measure interaction in synchronous CMC data. The Longman Grammar of Spoken and Written English (Biber et al., 1999), or LGWSE, is seen as one of the leading reference books on current English grammar. The LGWSE notes that interactional features of conversation are co-constructed by two or more interlocutors dynamically altering their expression to the ongoing and complex changes in conversations. Features such as negatives, question tags and inserts found with high frequency in conversation often are dependent on contextual clues from previous content in a conversation. By examining the relative amount and occurrences of such features in registers (i.e., genres), comparative determinations can be made as to levels of interaction between texts. This is a common method used in discourse analysis, wherein relative occurrences of target linguistic features are used to compare different registers (Biber & Conrad, 2008). Granted that differing amounts of interactional linguistic features can be found in different registers, this study proposes that the linguistic features of interaction listed in the LGWSE are an appropriate and measureable operationalization of the distance education concept of interaction when examining synchronous CMC data.